Before they rose to fame, many of the world's wealthiest and most recognized celebrities struggled for money. And some weren't just poor - they were homeless.Here are 15 incredible stories of famous people who at some point in their lives had nowhere to sleep but the streets. They all eventually turned their lives around, becoming an inspiration to anyone who dreams of a professional career, despite starting from nothing. Yahoo reported that the comedian dropped out of high school and lived in a VW bus with his family parked in different places throughout Canada. They eventually moved into a tent on his older sister's lawn and parked the van in the driveway. Carrey said it was during these tough financial times growing up when he developed a sense of humor. When she first moved to Chicago to become an actress, Berry ran out of money, and her mother decided the best thing would be to not send her daughter more cash. During these struggling times, the actress acknowledges, she stayed in a homeless shelter. "It taught me how to take care of myself and that I could live through any situation, even if it meant going to a shelter for a small stint, or living within my means, which were meager. I became a person who knows that I will always make my own way." According to BusinessPundit.com, when Phil McGraw (Dr. Phil) was 12 years old, he was homeless and living in a car in Kansas City with his father, who was interning as a psychologist. McGraw later went on to obtain his own bachelor’s, master’s, and Ph.D., and he joined his father’s psychology practice in Texas. In the 1990s, Oprah Winfrey invited McGraw to appear on her show. He later became a regular on “Oprah” and eventually launched his own syndicated advice program. Today the author and TV personality is worth an estimated $280 million. The well-known Emmy-winning financial adviser, who has published numerous New York Times bestsellers, could not afford to move out of her van when she first moved to Berkeley, California, in the 1970s. Today Orman is worth an estimated $35 million. Craig now has several critically acclaimed movies on his resume, but Hollyscoop reported that the 007 actor used to sleep on park benches as a struggling actor. Today that 46-year-old Craig is worth an estimated $65 million. She would go on to sing for President Ronald Reagan in 1981, but before becoming "arguably the finest female jazz singer of all time," Fitzgerald was abused by her stepfather when her mother died at a young age, according to PoemHunter.com. She worked with the Mafia for some time before the police put her in a school for girls. Fitzgerald ran away from there and was homeless until debuting at the Apollo Theater in 1934. Her voice quickly won her fame, and she went on to win 13 Grammy Awards and receive medals from both President Reagan and George H.W. Bush. She died in 1996, but her face appeared on a U.S. postal stamp in 2007. Aside from a movie based on his life starring Will Smith, Gardner also has two New York Times bestselling books under his belt: his autobiography "The Pursuit of Happyness" and "Start Where You Are: Life Lessons in Getting from Where You Are to Where You Want to Be." But before his story was shared with the world, Gardner was living on the streets with his young son. At the time, he was trying to pursue a career in finance despite not having any experience in it, or even a college degree. He received a spot on the Dean Witter Reynolds training program but could not afford to live off of the small salary, and his wife eventually left him. He is also a motivational speaker and CEO of Gardner Rich LLC with offices in New York, Chicago, and San Francisco. According to Gardner's website, his childhood was "marked by poverty, domestic violence, alcoholism, sexual abuse, and family illiteracy." "I ended up homeless because my boss propositioned me, and when I wouldn’t sleep with him he didn’t give me my paycheck. I got kicked out of where I was living, and my rent was due that next day. I thought, ‘Well, I’ll live in my car for a minute … get back on my feet,’ but I had bad kidneys, and I never could hold down another job because I got sick so often. I didn’t have insurance and ended up almost dying in the parking lot of an emergency room because they wouldn’t admit me because I didn’t have insurance. I ended up homeless for about a month, and I went back to singing." During his childhood and teenage years, Oher was living on the streets while his crack-addicted mother lived in public housing, reported NPR. He was eventually taken in to live with a wealthy family, played college football at the University of Mississippi, and drafted into the NFL in 2009 for the Baltimore Ravens. His inspirational story was turned into Michael Lewis's 2006 book "The Blind Side: Evolution of a Game" and the movie "The Blind Side." W Magazine reported that Jennifer Lopez moved out when she was 18. Lopez wanted to be a dancer, and her mother wanted her to go to college — and they couldn't see eye to eye. So, she moved out and started sleeping on the sofa of her dance studio. Lopez told W that a few months later she landed a job dancing in Europe, and when she got back, she booked "In Living Color" and became a Fly Girl, which proved to be her big break. Today the 45-year-old singer, actress, producer, and designer is worth an estimated $300 million. At a young age Houdini knew he wanted to be a magician, and he ran away from home by hopping a freight car, according to Appleton Public Library. He ended up in Missouri. A few years later, he moved to New York City with his father, but they were so poor Houdini continued to panhandle on the streets. He began his professional career at 17. The 57-year-old actor, TV personality, and author told People Magazine that when he was just starting out as a comedian in the late 1980s, "one or two gigs fell through,” and he suddenly found himself homeless. That gig turned out to be Harvey’s big break. According to Time, Swank, who grew up in a trailer park, moved to California with her mother as a teenager to pursue a career in acting. Before landing roles, she and her mom lived in a car and stayed in an empty house for a few months. She went on to win two Oscars by age 30 and is now worth an estimated $40 million. 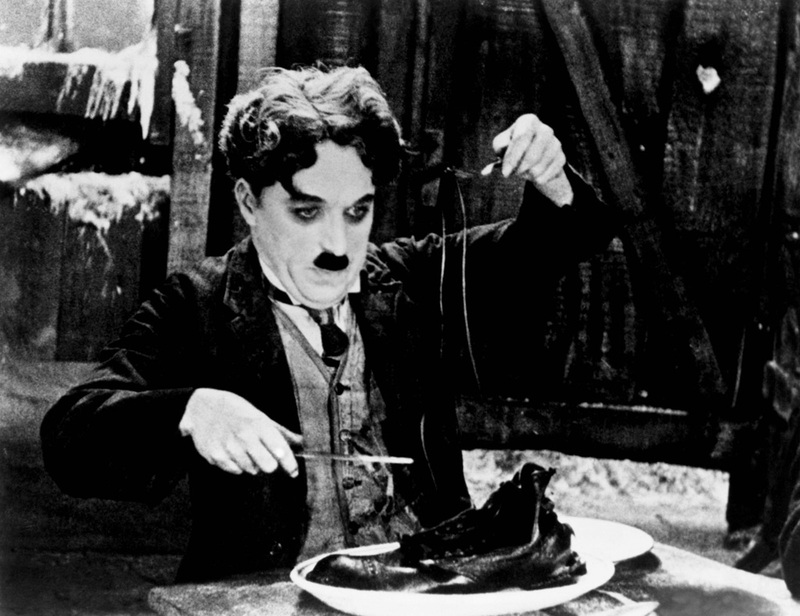 After the early death of Chaplin's father, his mother was put in a mental hospital, and the young boy and his brother had to try to make a living by themselves, according to his website. As both his parents were in show business, Chaplin and his brother decided to follow suit. Today he is known as one of the greatest actors of the silent film era.